I’m Mara. I’m a middle school English teacher by trade; I’ve recently relocated & work in management consulting with the federal government. Education is still at the forefront of my mind; I spend most of my free time working on this blog and my Teachers Pay Teacher Store developing curriculum for Common Core and TNReady. I grew up in the desert valleys of Boise, Idaho and attended an International Baccalaureate private high school with a strong emphasis on service-learning. Then, I became a Tennessee transplant where I attended Vanderbilt University. I studied in Peabody College, but somehow evaded an education degree. Instead, I studied Human and Organizational Development and History. I previously taught 7th grade writing composition on a digital platform at a charter school in North Nashville. I wrote an experimental curriculum and built the digital platform to deliver content. At the charter school, I taught a semester-long Common Core aligned Pilot Unit. I focused on the TCAP/ Common Core Informational Text Standards and worked with students to write Analytical Summaries analyzing the efficacy of an author’s rhetorical moves in a piece of writing. While teaching there, I was enrolled in a full-time M.Ed program; I received my M.Ed in Instructional Practice from Lipscomb in August 2014. The following year, I taught in a more rural school south of Nashville, where I taught reading and writing in a blended literacy class. I focused on building foundational literacy skills and spiraling them into more authentic project based learning experiences. I experimented this year with groupings and building lessons around inquiry based stations or group work. Students completed three quarter-long book projects that were Common Core aligned throughout the year. This was one way I motivated students through differentiation & ensured students were reading independently. 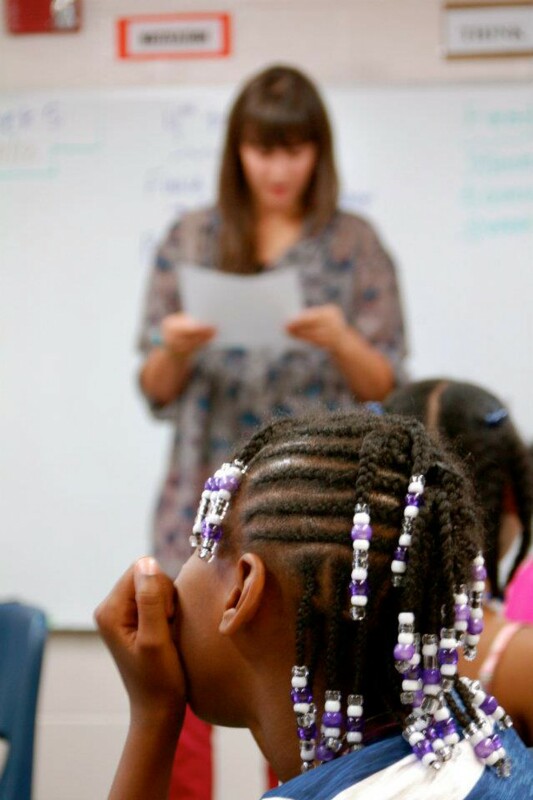 During 4th quarter, I returned to a skills-based approach to prepare students for TCAP. I was incredibly proud of the growth my students made. 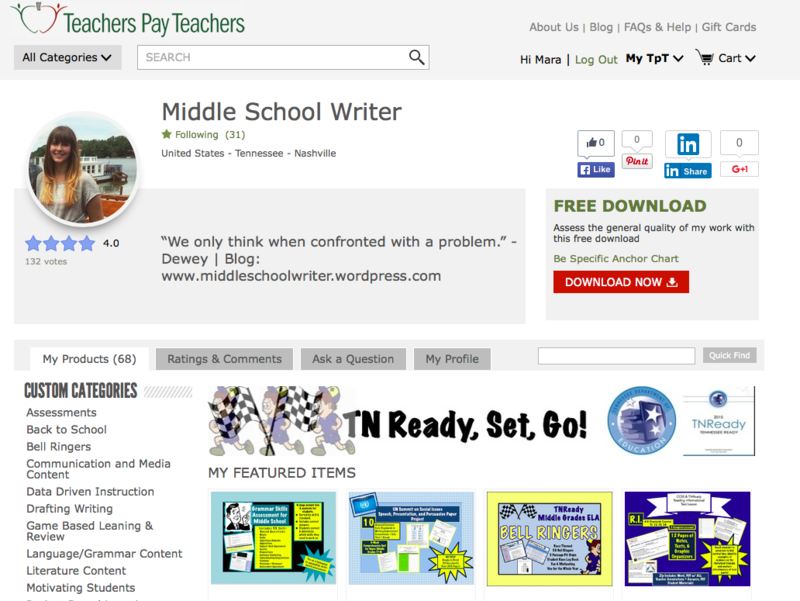 The resources I post on this blog are intended to help and support teachers across Tennessee. I’ve loved answering questions from teachers as they are making the transition to TNReady. Please feel free to reach if you are in need of a thought partner or are struggling with your lesson design; I’m happy to help. Also, I am only replying here because you don’t seem to have a “contact me” page. Feel free to delete this comment and contact me on my site. Do you have passwords to the restricted areas? Could you send me an email at maratruslow@gmail.com? I am very interested in your TCAP activities, but I noticed this section is Password Protected. Please advise as to know I could obtain a password. As a 7th grade ELA teacher in Knoxville, TN, I am happy to pay for access if necessary. I was also wondering if there was a way to get the password for your TCAP materials. I have already purchased almost every item in your TPT store, and love it. Thank you so much for your contributions, and keep up the amazing work! Hi. I stumbled upon your site and found a scope and sequence link for writing tasks. Under the Scope and Sequence and Assessment Overview, there are options A and B. 1. Where is it on your blog? I can’t find it and did not bookmark it. 2. Do you have a 6th and 7th grade Scope and Sequence? On my blog, I do have the 7th grade standards for TNReady, a chart of resources for MICA, and a list of updates from the state. These are available through the navigation bars directly below the title of my blog. Click on “TNReady Standards and Lessons” that is third from the left.